The high quality brand you’ve used is now available in Salt Nicotine! Hawaiian Pog – A smooth, refreshing and delicious blend of freshly squeezed orange juice, Passion Fruit’s delightfully sweet and tart nectar, and exotically fruity and creamy guava. Green Blast – Honeydew sweetness with the juicy, fresh tartness of fresh kiwi, finishing with a crispness of a granny smith apple that results in a fruit experience unlike any you’ve ever had! 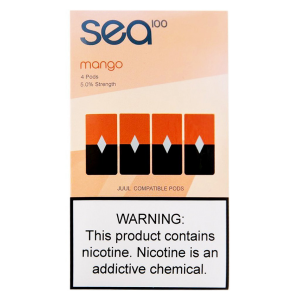 Amazing Mango – Mango, peach, and cream smoothie and translates it into portable form, with a refreshing, sweet, and creamy profile perfect as an all day vape. Very Cool – Freshly picked blueberries, blackberries, and raspberries, flash freezes them, blend them, and drizzle a little bit of honey on top. Very Cool is as amazing as it sounds, with a sweet and tangy profile layered with refreshing notes of ice.